As a New York City photographer, it is a privilege to showcase talented people and help them get recognized on a worldwide platform. 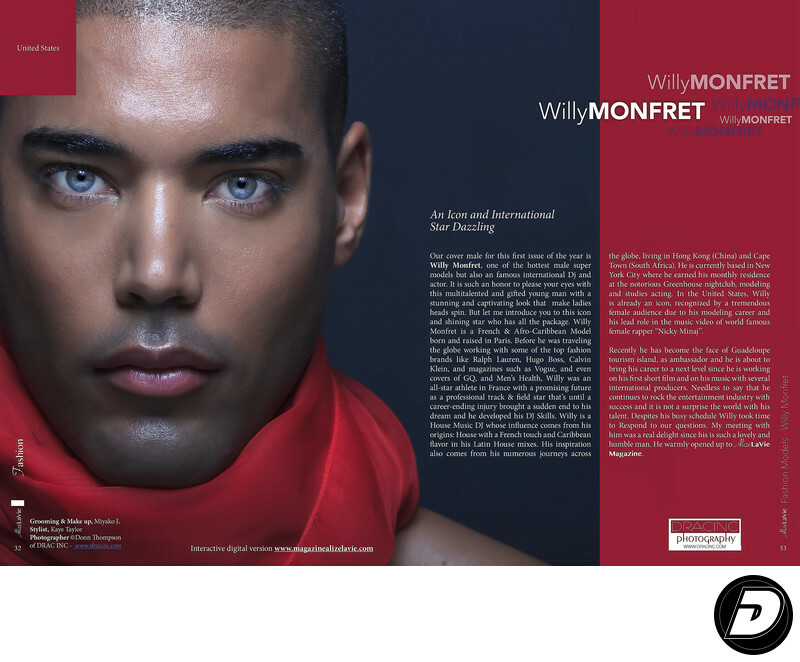 Willy Monfret, a French Male Model from Guadalupe. 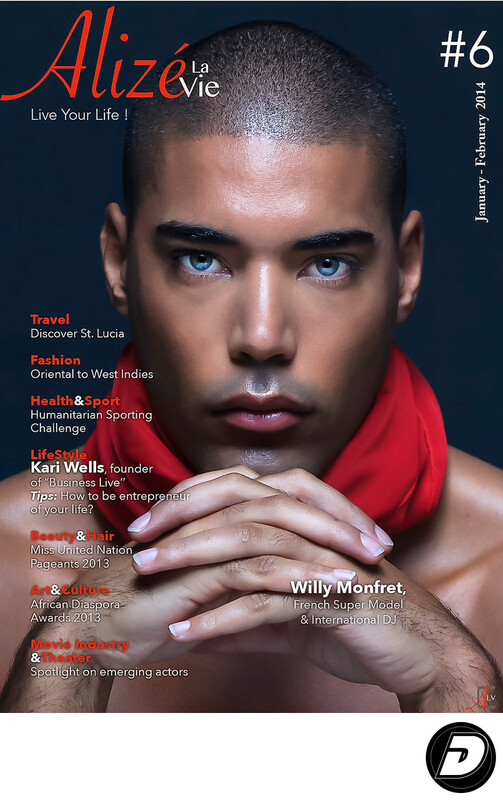 Turn International DJ, graced the 6th Edition cover of Alize LaVie, or Live your Life. His determined baby blue eyes and interlaced fingers makes the impactful statement that he means business. Contact NYC celebrity photographer Dracinc/ Donn Thompson, and let my team and I photograph your next cover. Location: 351 Sain Nicholas Avenue, New York, NY 10027.